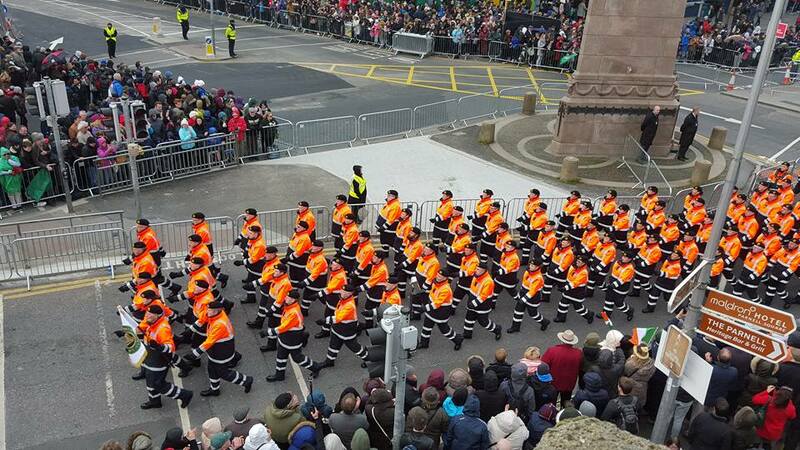 Congratulations to the 100+ members of Civil Defence who took part in the Easter 1916 commemorative parade in Dublin on Sunday 27th March 2016. You represented Civil Defence with great distinction. 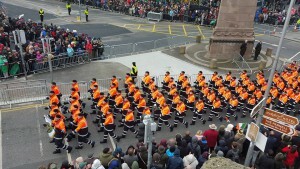 There has been some very positive feedback on the appearance and drill work of the Civil Defence contingent in the parade. This reflects well on Civil Defence and once again shows the level of commitment and months of training and preparation which went into the event. We thank all the volunteers for the time they gave to attend the training days and also thank RSM Noel O’Callaghan and Sgt. Alan Graham for all their help in training the volunteers.